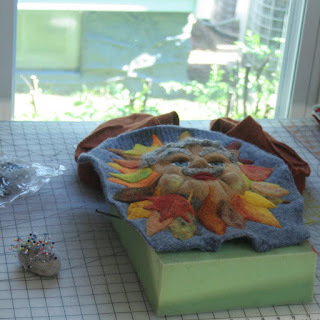 I've been working hard on the Fall Guy (his pic is a little later). 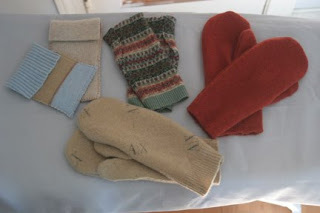 Every once in a while when I have a few minutes, I'll cut out a pair of mittens or wrist warmers, or a cell phone pouch. So they build up into a pile on my work table until I have a chance to sit down at the sewing machine. 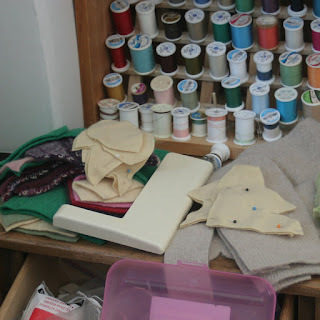 Here's a pile of stuff I've cut and it's waiting to be sewn. 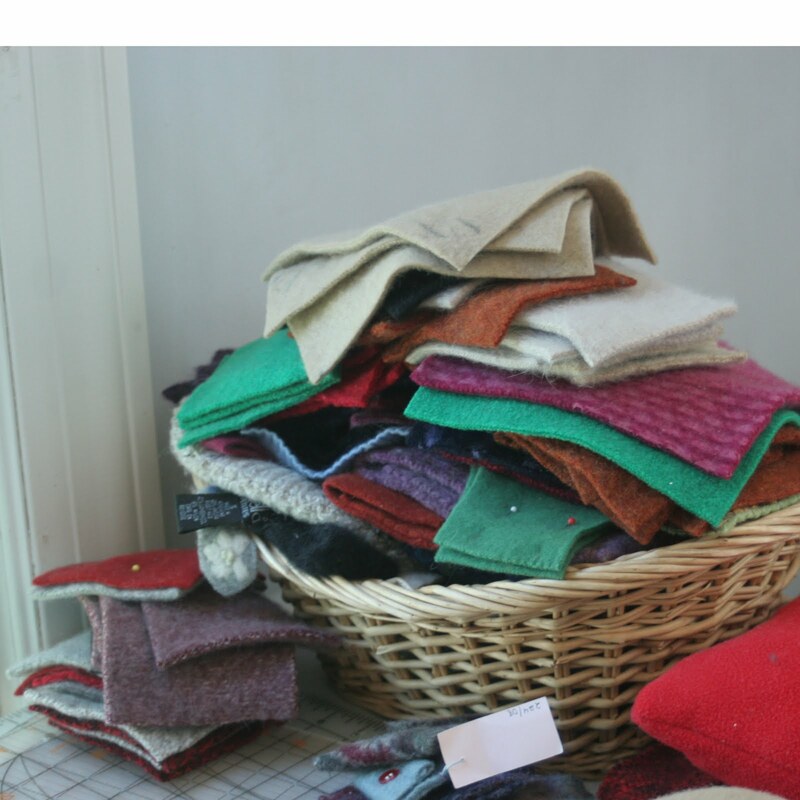 Mostly it's pot holders and coasters. Here's some more that's cut. You can see how organized I am (NOT!). 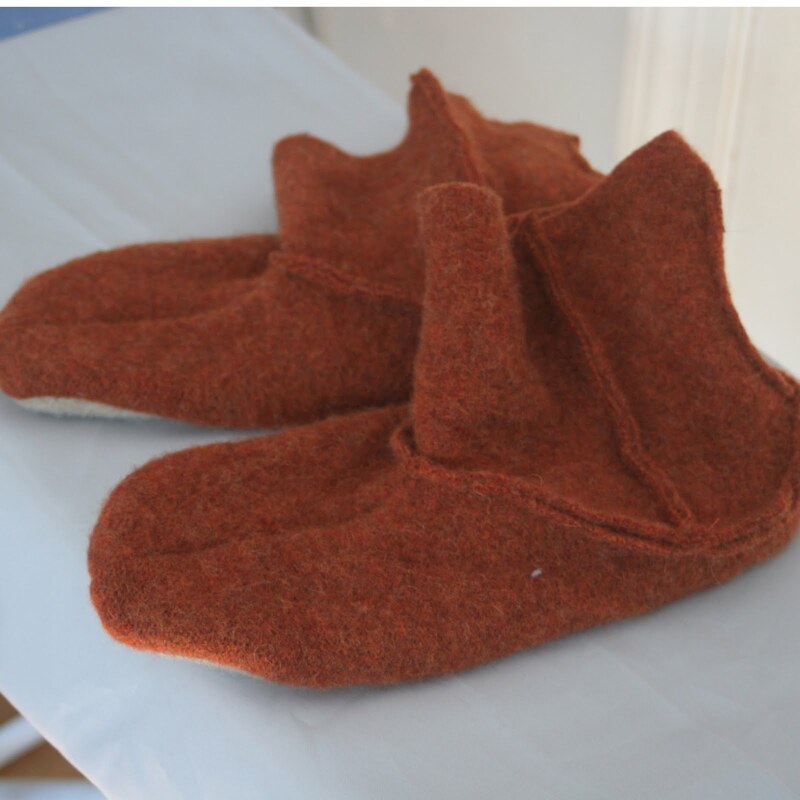 This is a pair of slippers I've sewn and they are waiting to be felted. And here's the Fall Guy. He's not done yet, though the best part of the work is done. I'm not ready to show him full-face yet.